The main objective of the German Federal Ministry for Economic Cooperation and Development (BMZ) in funding International Agricultural Research for Development is to provide a strategic instru-ment for enhancing research in organizational, methodological and technical innovations con-cerning sustainable agricultural development, focusing on the impact of this research on the poor population in developing countries. Research support addresses policy issues, the social, environmental and technological dimen-sions of research, the training of professionals and the out- and upscaling of research findings. Funding is provided to the CGIAR Research Centers and to icipe and The World Vegetable Center. Deadline 31 March 2019. The CFC calls for proposals that advance commodity development in its member countries. Funding is targeted mainly to for-profit organizations and social enterprises for production, value chains, and marketing across a wide group of commodities (agricultural crops, tree crops, timber, bamboo and rattan, minerals, and others). This 14th call for proposals has a deadline on 15 April 2019. The Erbacher Foundation supports rural development in subject areas that include livestock husbandry, crop production, drinking water, and environmental protection. The priority countries are India, Tanzania, and Uganda. Applications are invited from Germany charitable organizations involved in development cooperation. Applying organizations need to have partnerships with local NGOs. The German institution is responsible for project administration and coordination. Application deadlines 01 August of each year. The European Commission seeks to unlock the potential of Rwanda’s horticultural and coffee value chains to ensure the supply to local and international markets. Projects should address agribusiness development by providing smallholder farmers with the necessary tools and knowledge to sustain the market. Grants requested under this call must fall between the amounts of €1 million and €3 million. Eligibility extends to legal and natural persons established in the EU or in a developing country. The application deadline is 27 March 2019. The Swiss Agency for Development and Cooperation (SDC) and the State Secretariat for Economic Affairs (SECO) seek innovative projects run by young people in the 16–35 age group which aim to improve the living conditions of disadvantaged communities in developing countries. Eligibility extends to Swiss citizens or residents but submitted projects have to be relevant for and/or be implemented in developing countries. Deadline for submissions is 31 March 2019. The ygap accelerator provides support to South African leaders with solutions to poverty. Entrepreneurs and startups with project ideas and solutions for their local community are invited to apply for the one week training program. The five-day workshop will provide social entrepreneurs with access to training designed to focus on business growth. Participants will gain access to professionals (designers, lawyers, coaches, etc.) and have the opportunity to apply for small grants of US$10 thousand. Application deadline is 22 March 2019. The European Commission seeks proposals for projects to reduce poverty and food insecurity in Sierra Leone through better governance and increased agricultural productivity and diversification. Lot 1 (up to €600 thousand) will support short value chains including micro enterprises that currently produce with artisanal methods. Lot 2 (up to €5 million) will support large-scale and already well-established SMEs in the agribusiness sector, which process agricultural products at a large scale. Eligibility extends to non-governmental organizations, private sector organizations, farmer organizations & community based organizations, private legal entities and international (inter-governmental) organizations. The deadline is 15 March 2019. The Halcyon Incubator program equips early-stage social entrepreneurs from all around the world with support to transform their ideas into scalable and sustainable ventures. Ventures may be for-profit, hybrid, or undecided, as long as the core mission is to create measurable social change. (Note: This may include business ideas in agriculture, sustainable energy, or sustainable development.) Ventures structured as ‘non-profit’ will only be considered if they have a product or service they are selling. Partnerships (ventures co-founded and led by two individuals) are eligible. Selected entrepreneurs will receive a $10 thousand stipend per venture for food and living expenses during the residency phase, mentorship, one-on-one coaching, and 13 months of free workspace at Halcyon House (post-residency). Applications are accepted until 04 April 2019. The Pollination Project (TPP) offers start-up grants of up to US$1 thousand to compassion-driven visionaries in who need seed capital to get started. Currently, TPP makes grants for community projects in Kenya and Uganda. Topics for projects include education, clean water, afforestation, and many others. The deadlines for applications are 15 April and 01 August 2019. Dining for Women makes grants to non-profit organizations that support women and girls living in extreme poverty in developing countries. Thematic areas include access to clean water and sanitation, food security, and education, among other themes. Applicants may request between US$35 thousand to US$50 thousand. Eligibility extends to US 5.01(c)3 corporations or international organisations with a fiscal sponsor which is a US 5.01(c)3 corporation. Dining for Women has two annual grant cycles. The submission deadlines for 2019 are 24 April and 24 October 2019. The Small Charities Challenge Fund (SCCF) was designed to support UK-based grassroots organisations working with the poor, vulnerable and most marginalised in Africa and Asia. Thematic areas include agriculture, climate change, environment, water resources and others. Grants of up to £50 thousand will be available for projects of up to 2 years. Applications are reviewed on a 6-monthly basis. WISER is funded by the UK government’s Department for International Development (DFID). The WISER programme’s mission is to deliver transformational change in the quality, accessibility and use of weather and climate information services at all levels of decision-making for sustainable development in Africa. The deadline is 05 March 2019. The flagship Master in Food Systems programme is EIT Food’s unique offering to develop top talent for the food sector. The programme is based on a combination of essential skills to become effective innovators and entrepreneurs in the food sector along with key technical skills that are tailored to the individual career pathway for each student. The approach of the programme is unique in how students can select study pathways from a wide range of profiles at different European Universities to suit their career ambitions. The programme will start in September 2019. The Monsanto Fund makes grants to strengthen agricultural communities in several countries around the world. Grants of US$25 thousand and more are available to tax-exempt charitable organizations for activities and projects that address farmers’ education and training; food security; community water and sanitation; and other local needs. Monsanto’s international grants are administered at the country level. The Fund presents a list of eligible countries. Monsanto accepts international applications during two periods each year. The first period ranges from 01 January through 28 February. The second period ranges from 01 July through 31 August. Securing Water for Food seeks master-level students or master-level graduates to act as field evaluators to conduct in-country, field research with SWFF in Ethiopia, India, Uganda, Bangladesh or South Africa. 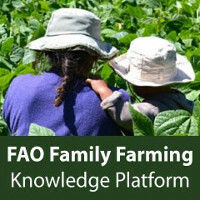 SWFF is looking for candidates that have the skills and interest in gathering qualitative and quantitative data from farmers and other stakeholders in emerging market economies. Selected applicants will receive a roundtrip airfare to and from the country of destination, a stipend of US$2,500 to cover trip expenses and another US$2,500 payment after submission of final deliverables. The deadline to apply is 15 March 2019. ICRA supports education and capacity strengthening in agriculture and the rural sector in the developing world. Among its forms of engagement, ICRA offers specialized training courses each year. 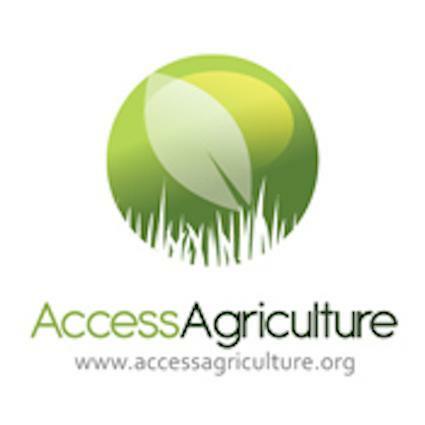 Applications are invited for courses that include: “Transforming education for youth employment in the agri-sector” (March-April 2019, the Netherlands); “Solving complex agri-food problems through action research” (November 2019, the Netherlands); and “Building agribusiness relations for sustainable profit” (April 2019, Benin/ June 2019, Nigeria / November 2019, Kenya). ICRA’s courses qualify for OKP/MSP scholarships funded by the Dutch government. Individuals wishing to apply for these scholarships should apply to ICRA before 21 March 2019. KU Leuven is the largest university in Flanders, Belgium. As one part of its cooperation to advance international development, KU Leuven offers 5 PhD scholarships to candidates from developing countries who wish to obtain a doctorate at KU Leuven. The doctoral scholarships have a duration of max. 4 years. The program also reimburses travel costs from the home country of the PhD student to Belgium. The deadline date is 14 March 2019. With funding by the UK’s Department for International Development, the Commonwealth Shared Scholarships are available to citizens of Commonwealth countries for masters studies at UK universities, usually for one year. The participating academic programs include several in subject areas such as environmental science and management, agro-forestry, livestock management, remote sensing, disaster management, wetlands science, etc. The CSC lists the participating universities and their eligible courses. Potential applicants must check with the relevant UK university regarding their admission requirements and guidelines for applying. The deadline for scholarship applications is 14 March 2019. New Zealand’s government provides a variety of opportunities for training and university study through the New Zealand Aid Program, Ministry of Foreign Affairs and Trade. The program has six scholarship schemes, reaching a total of over 90 countries. The priorities for support often include agriculture, renewable energy, fisheries, disaster risk management, and other areas related to natural resources and environment. The eligibility requirements for scholarships are specific to each country/regional program. The application deadline for submissions Group 1 is 14 March 2019, and 28 March 2019 for Group 2. Annie’s Sustainable Agriculture Scholarship Program is open to full-time undergraduate and graduate students studying at an accredited college or graduate school in the USA during the 2019/2020 school year. Students must be focusing their studies on sustainable agriculture. International students may apply as long as they are studying at an eligible institution in the USA. The program offers scholarships of US$10 thousand each. The application deadline is 15 March 2019. Taiwan’s program of development assistance includes scholarships for university students in eligible developing countries to study in Taiwan. The program provides full scholarships for applicants from selected countries in the Asia-Pacific region, Sub-Saharan Africa, the Caribbean region, Latin America, and certain other countries. Subject areas at Taiwan’s participating universities include tropical agriculture, aquaculture technology and management, environmental sustainable development, and others. Undergraduate students receive NT$12 thousand per month as an allowance, Masters students receive NT$15 thousand per month, and PhD students receive NT$17 thousand per month, plus travel, fees and other costs for the program. The application deadline is 15 March 2019. UNESCO and the China Scholarship Council announce the availability of 75 fellowships under “The Great Wall Program” for advanced undergraduate and postgraduate studies at Chinese universities. Applications are invited from eligible developing UNESCO member states in Africa, the Asia–Pacific region, Latin America and Caribbean, the Arab States, and Europe and North America. Fellowships are for one year, and most fellowship programs are in English. Among the many participating Chinese universities that admit scholarship students are some that offer agriculture, forestry, environment, and other disciplines in natural resources. The application deadline is 15 March 2019. The Commonwealth Distance Learning Scholarships support distance learning Master’s degree courses offered in partnership with local providers in developing countries, as well as courses delivered directly by UK universities. The available offerings include agriculture; tropical forestry; veterinary medicine; environmental management; conservation and wildlife management; risk and disaster management; and others. Eligibility for support extends to Commonwealth citizens of developing Commonwealth countries, refugees, and British protected persons. Applicants must be permanently resident in a developing Commonwealth country and meet the entry educational requirements. The application deadline is 22 March 2019. The New England Biolabs Foundation makes grants to grassroots and charitable organizations to support conservation of biological diversity; ecosystem services; community food security; and marine environment. The geographical scope focuses on regions (specified on the website) in Central America; South America, and West Africa. Maximum grant size is US$10 thousand. Most grants are US$3 thousand to US$8 thousand. The deadlines for submission of LOIs and proposals are 25 March 2019 and 09 August 2019. The Regional Universities Forum for Capacity Building in Agriculture (RUFORUM), in partnership with Mastercard Foundation, will provide 110 undergraduate and 110 Masters Scholarships over a period of eight years. The scholarships are intended for disadvantaged, marginalized communities and those coming from conflict and post conflict areas of Africa. For the academic year 2019, 50 Undergraduate and 20 Masters Scholarships will be made available, of which 70% will be for Kenya and Uganda nationals. About 50% of the scholarships will be awarded to female applicants. The deadline to apply is 31 March 2019. NextWorldNow (NWN) is committed to working with community leaders who are solving difficult social problems. This includes social problems related to water, sanitation, deforestation, smallholder productivity, and food security — among other subject areas. Grants are up to US$10 thousand. To apply, community organizations submit a short “Notification of Interest” to register their intent to submit a formal grant application. NWN will screen the initial requests and forward a full application form to selected community organizations. The deadline to submit a “Notification of Interest” is 31 March 2019. The Nordic Africa Institute (NAI) provides funding to social science researchers from Sub-Saharan Africa for short-term collaborative assignments at the NAI in Uppsala, Sweden. Female researchers are especially encouraged to apply. The scholarship includes air-fare (economy class), accommodation, a subsistence allowance of SEK300 per day plus an installation grant of SEK2,500. The thematic research programs include the topics of economic growth, poverty alleviation, sustainable livelihoods, climate change, and sustainable development, among others. The application deadline is 01 April 2019. The international course on “Agricultural Education in Primary and Secondary Schools For African Countries” will focus on agricultural education with the aim to provide rural populations in African countries with agriculture skills and professional knowledge to end hunger, achieve food security and promote sustainable agriculture. The course is geared towards directors of educational systems from rural and urban areas, supervisors, as well as primary and secondary school principals. Deadline for applications is 01 April 2019. WIOMSA is calling for submission of proposals for its Marine Research Grant (MARG) Program. The MARG programme provides young and upcoming scientists with a reliable and flexible mechanism to turn their ideas into research projects and also offers opportunity for presentation of research results at various regional and international fora. Deadline: 8th April 2016. The ICGEB Research Grants support projects in agricultural biotechnology, environmental bio-remediation, and many other fields. The grants are intended to facilitate the creation of research facilities in promising institutes; to promote training of young scientists; and to develop new research programs in participating countries. The program is open to applicants who have positions at universities and research institutes in ICGEB’s member states. Grants are a maximum of €25 thousand per year for projects of up to three years. The deadline for submitting applications is 30 April of each year. The Australian government contributes to the education of talented individuals in the developing countries through its scholarship programs. Subject areas for study correspond to priorities of Australia’s aid programs by regions and countries — and include agriculture, energy, natural resources, and environment. The application period for the 2019-2020 scholarships in most Asian-Pacific countries is 01 February 2019 through 30 April 2019. ACIAR awards the John Allwright Fellowship for university post-graduate studies in Australia. Applicants are citizens of ACIAR’s priority partner countries who are engaged in an ACIAR collaborative project at the time of application. Each awardee pursues research at an Australian tertiary institution relevant to the project in which the awardee is engaged. The deadline for applications is 30 April 2019. The Mwalimu Nyerere African Union Scholarship Scheme encourages the participation of young African refugees and internally displaced persons at postgraduate level, for Masters and PhD programmes in the fields of Natural Sciences, Agriculture, Health, Education, Engineering, and Social Sciences. Candidates must be under 35 years and have proof of admission to undertake a full time Masters program at a recognized university of an African Union Member State. The scholarship award covers travel, tuition fees and a stipend of US$500 per month. Closing date for applications is 30 April 2019. The Ekhaga Foundation makes grants for research in ecological agriculture and biological medicine. Universities, research institutes, etc., from all over the world are invited to apply. Ekhaga requires cooperation with a Swedish institution for applications that do not come from Europe or North America. The deadline for applications is 20 May 2019. The Fulbright Scholar Program invites applications from U.S. scholars for research, teaching, and creative arts in an international context. Eligibility criteria include U.S. citizenship and a PhD or equivalent professional degree. The available openings include several in the developing world in subjects related to agriculture, environmental and biological sciences, geography, and others. The deadline for applications is 16 September 2019. The international course on ” Agricultural Development in Arid Regions” will focus on soil and water management, intensive crop production and marketing systems, irrigation and fertigation, and the implementation of agro-technologies. The course is geared towards professionals from governmental and non-governmental institutions, universities, research institutes and/or private sector, from African English-speaking countries, involved in agricultural development in arid and semi-arid regions. Deadline for applications is 29 April 2019. The international course on “Agribusiness: A Tool for the Empowerment of Rural Women” will focus on marketing and branding for agribusiness, agro-entrepreneurship, and finding solutions to economic, social, and environmental problems. The course is geared towards African professionals, practitioners and policymakers involved in agriculture and rural development. CRP WHEAT is sponsoring travel and accommodations for 10 journalists from developing countries to attend the proceedings at the International Wheat Congress (July 21-26 in Saskatoon Canada) as well as special training and mentoring events with experts and other journalists. It is a great opportunity for a journalist and will enhance accurate coverage of wheat research and ag/food security issues in local/national media to increase support for and impact of WHEAT’s work. This award is organized by UNIDO ITPO Italy in collaboration with the Future Food Institute. The international contest is aimed at identifying worldwide the most innovative ideas in the foodtech & agtech sectors from startups, think tanks, universities, incubators, research and technology centers, that could lead to social, environmental and economic improvements in Developing Countries. 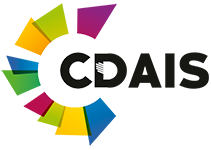 The award ceremony will be held in Rome on 15 May 2019 within the framework of EXCO 2019, the first ever Expo in Italy on International Development Cooperation. Applications must be received by 31st March 2019. These awards are part of the efforts that the CGIAR Research Program on Maize (MAIZE) is undertaking to promote youth participation in maize-based agri-food systems. These awards recognize the contributions of young women and men below 35 years of age who are implementing innovations in African maize-based agri-food systems, including research-for-development, seed systems, agribusiness, and sustainable intensification. The deadline for nominations is 14 March 2019. The Anzisha Prize seeks young innovators ages 15-22 in Africa who develop and implement innovative solutions to challenges facing their communities. Past awards include innovations in energy, agriculture, and ecological consumer products. The grand prize winners will share prizes worth US$100 thousand. The next application closes 31 March 2019. SEED supports small-scale eco-enterprises in the developing world which integrate social and environmental benefits into their business models. Seed currently accepts applications for its Low Carbon Awards, Africa Awards, and South Africa Award. Winners will receive business training, mentorship and grants of up to US$20 thousand. The eligible countries are Ghana, India, Indonesia, South Africa, Thailand, Uganda, Malawi, Zambia, and Zimbabwe. The call for applications is open until 02 April 2019. 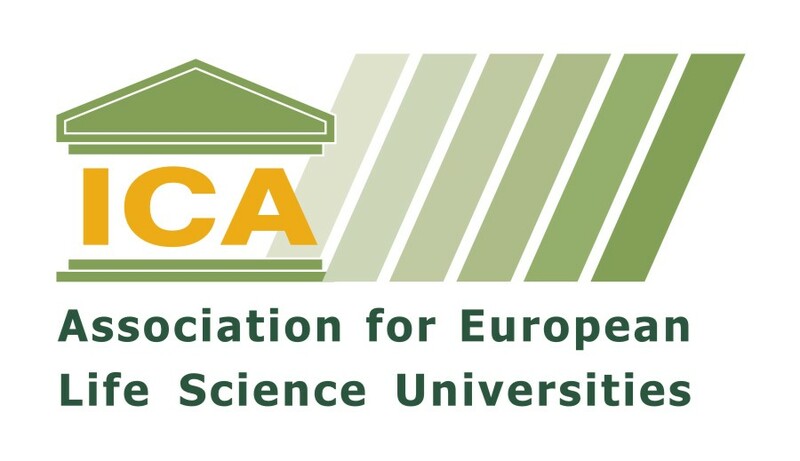 The Global Confederation of Higher Education Associations for the Agricultural and Life Sciences (GCHERA) supports innovation and leadership in education, research, and outreach in the agricultural and life sciences. This year, two World Agriculture Prizes will be awarded, each to a faculty member from a higher education institution for lifetime achievements in agriculture and life sciences — including but not limited to agriculture, forestry, natural resources, food, bio-based products, bio-energy, rural development, and the environment. The amount of the prize is US$100 thousand, contributed by Nanjing Agricultural University and the Da Bei Nong Group. The closing date for nominations is 30 April 2019. The Africa Food Prize honors outstanding contributions to agriculture and food production in the challenge to combat hunger and reduce poverty in Africa. The Prize can be awarded for a specific contribution or achievement, or for a series of efforts and results within the last few years. Nominations are open to qualified candidates irrespective of their nationalities, professions, or locations. The Prize is US$100 thousand (to be shared if there is more than one winner), a diploma, and a trophy. The deadline for nominations (English, French) is 14 May 2019. The Zayed Sustainability Prize recognizes achievements that are driving impact, innovation and inspiration in environmental stewardship and global sustainability. The Prize is awarded across several categories: (i) Health; (ii) Food; (iii) Energy; (iv) Water; and (v) Global high schools (i.e., high schools in five world regions). The prize winners will divide US$3 million. The closing date for applications and nominations is 30 May 2019. The World Food Prize Foundation invites nominations for the Borlaug Field Award. The Award (US$10 thousand) recognizes science-based achievement in international agriculture and food production by an individual under age 40 in the challenge to eliminate global hunger and poverty. The deadline for nominations is 15 June 2019.